How to set up a training program for employees to complete. Continuous learning is always important and that is why Collage empowers you to task employees to learn new things. From work safety training to new company policies, this feature is how we help you build up your team. Navigate to your Training module and click on the Create a Training Program button on the right-hand side. First, provide a name for your new program. You can also make this training program applicable to new hires by ticking the box under the naming field. You will be able to access and assign the training program to new hires from the Hire page. Next, specify whether you want your employees to complete this program within a specific time frame after the program launch (or employee start date for new hires). Right after the due date, you will be able to provide more details on the program and also links to any external training resources. If employees need to complete training outside of Collage, you can provide the link to the source in the description box. If you want to add any documents simply drag and drop the document into the box provided or click the box to browse through your files. Next, select employees that this new training program will apply to. Once you are done with completing all the previous steps, click Save and Launch at the bottom of the page. Employees who were assigned to the program will receive an email notification asking them to complete the program. They will also find this task in their Collage inbox, to remind them to complete the training program. 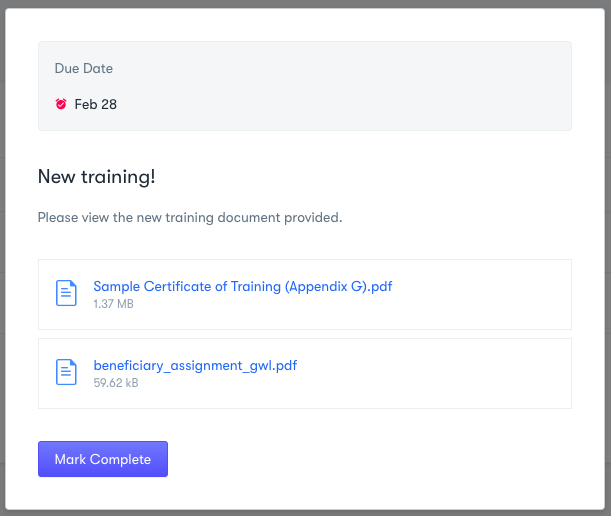 Employees will receive a task in their inbox when training is launched. They can open documents by clicking on them. Once they have completed the training, they can mark the task as complete. When you go to your Training module, you will be able to review at a glance how many people have completed the training program in the description of program. 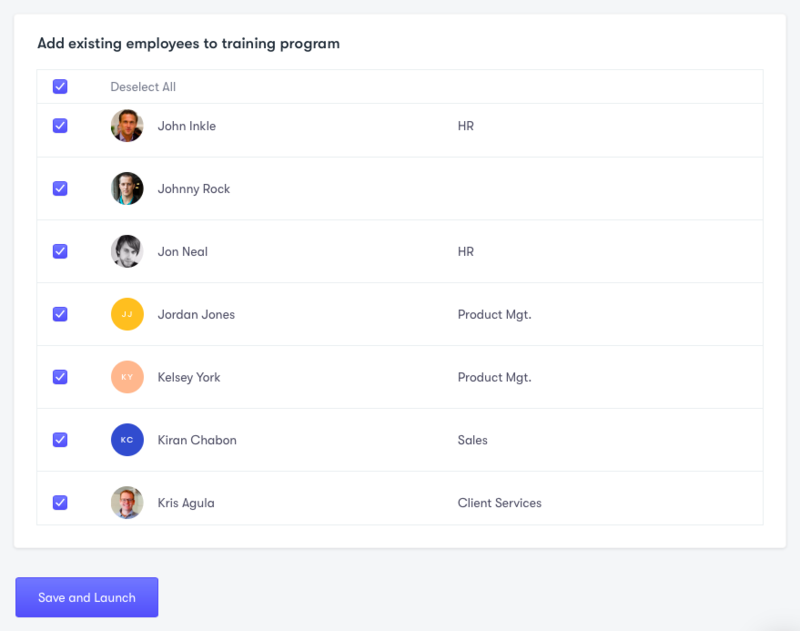 You can track who still has not completed the training program by going to your Company Inbox (Inbox > Company Inbox), where you also have the option to complete the tasks on your employees behalf. To Edit or Delete a training program, click on the ••• menu button next to the training program name. Note: If you want your new hires to complete a training program at the time of hiring, make sure not to delete it after all your current employees complete it.